I'm so grateful for all of the people God has sent our way to purchase some of our awesome John 14:18 gear. God gave me the idea for the John 14:18 gear a couple of months ago, my friend's daughter did the awesome artwork, and I prayed like crazy that God would bless this fundraiser. I never really thought about people visiting our blog who weren't already familiar with our family. I never considered how God might work in new visitor's hearts to open their eyes to His heart for the orphan through this fundraiser, simply by visiting our blog. I am so narrow minded. I simply thought that by wearing the John 14:18 shirts/gear, we would raise orphan awareness, but God knew that He had deeper plans in the works through this fundraiser. Oh how very grateful I am that God always has a greater plan than anything I could ever fathom. 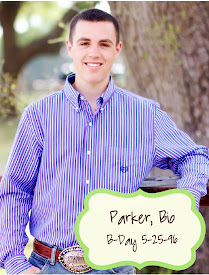 Many of our recent first-time blog visitors have shared with me how inspired and encouraged they are by our family. I really don't want to receive any credit or praises for our story. It's really not our story, it's God's story, and He should receive all of the praises and glory. Without Him, we would still have only 3 kiddos, all biological. Without Him, we wouldn't have a daughter in heaven who He used (and continues to use) to turn and keep our hearts (and the hearts of people around the world) focused on Him and His love of the orphan. Without Him, we wouldn't even care about adoption because we would still be orphans ourselves. We've been adopted by the King of Kings. He promised in John 14:18 not to leave us as orphans. We are such undeserving recipients of His amazing grace, His unconditional love, and, most of all, His gift of salvation. Because Jesus chose to give His very life as the ransom to adopt us, at the very least, we will do the same for others. 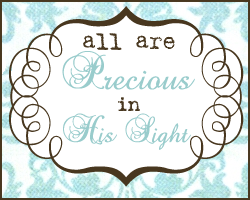 We will come to orphans on an earthly level. We will help other adoptive families raise the ransom. We will help raise orphan awareness. We will do what we can to help make a dent in the orphan crisis, however He enables us to do so, but none of this is possible without Him. 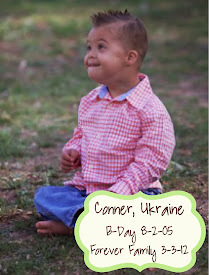 He is the very reason why we do what we do, and He is the very reason we are able to do what we do. He and He is alone is the Who, What, When, Why and How of our testimony. I'd like to share with you today, just in case you're not familiar with the whole story, what God has done in our lives over the past 3 years. This is God's story, not ours. To Him be all the glory, for we are nothing apart from Him. I remember when it all started. When God began to open our eyes. We were sitting at my parent's house enjoying our Thanksgiving gathering (Nov. 2007) when I received an email (on my phone) from a friend. This email stood out like no other. 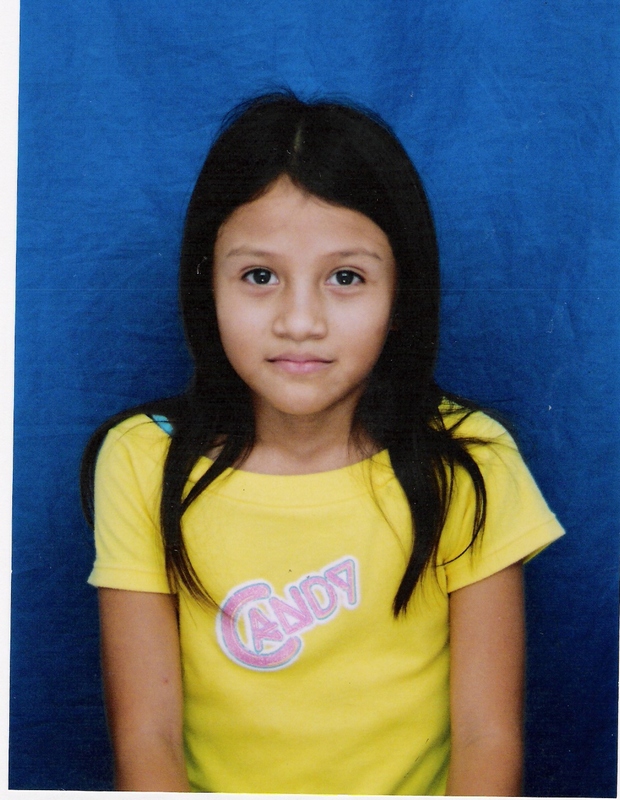 The email talked about an older orphan in Colombia who needed a forever family. As I stared at the photo of the girl in the email, my heart raced, like the 9-year-old girl in the photo was a part of me. But how could this be? I had never really thought about adoption. Why should I? 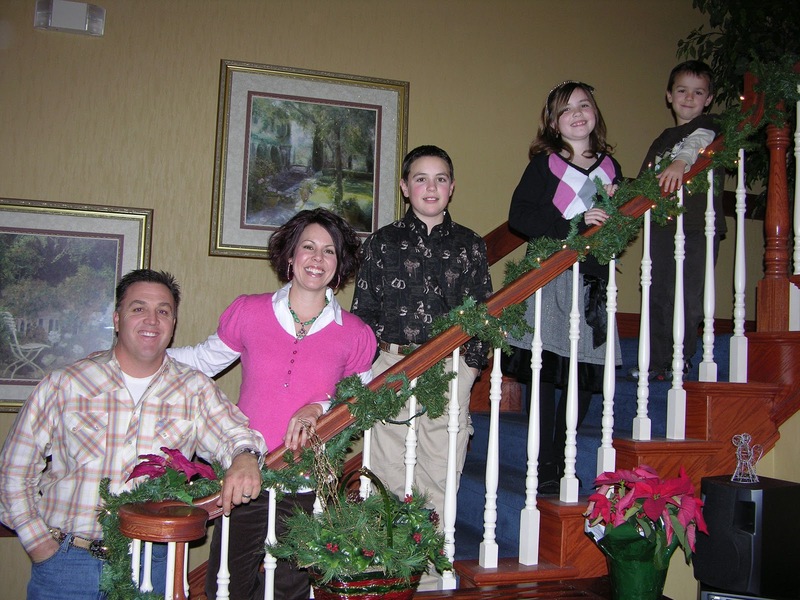 Our family was perfectly complete with 3 bio kids, two sons and a daughter. And if I were going to adopt, wouldn't I want to choose a healthy baby, not a 9-year-old girl who would be 11 by the time she came home?!? And we just knew God was calling us to our first adopted daughter. And He wasn't calling us to a newborn or even a toddler. He was clearly calling us to adopt this exact child, whom He hand-picked for our family. A girl who would be 11 years-old by the time she would join our family. A girl who didn’t know a word of English. A girl who had lived a very hard life. 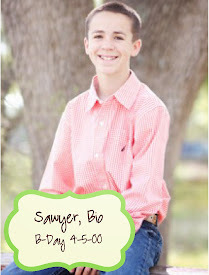 Yes, this meant we’d be adopting out of birth order, and our first adoption would be challenging due to the age and history, but we knew without a doubt that God wanted us to adopt this specific child. 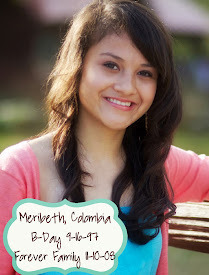 You can read more about our adoption journey to Meribeth (formerly Princesa Luz Mery) by clicking HERE. 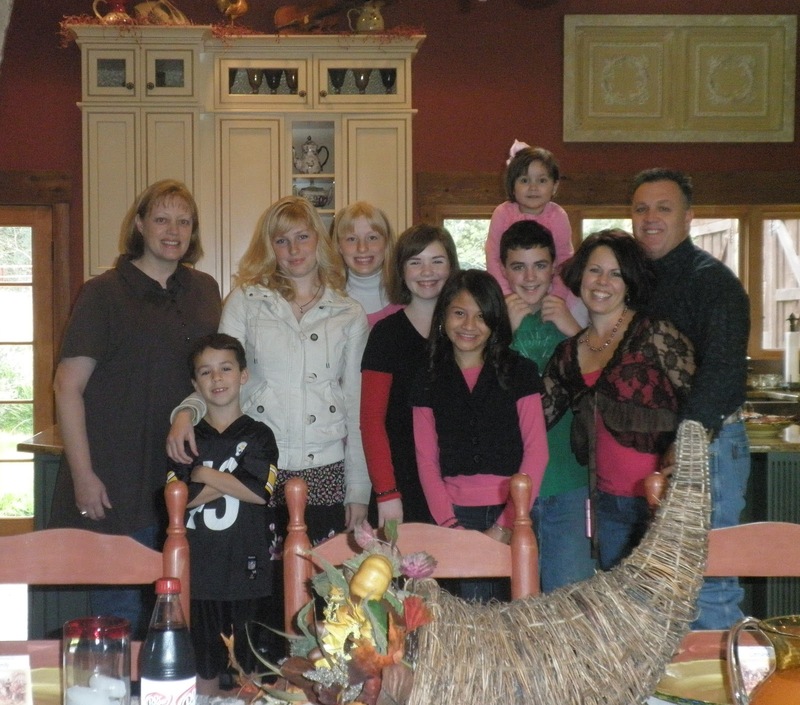 Here’s a photo of our family in Colombia, adopting Meribeth in November, 2008. So now our family was really perfectly complete. And then God gave me a terrifying nightmare about horribly mistreated orphans, and this is how He began to really open my eyes (and consequently our entire family's eyes) to the plight of the orphan. "Once our eyes are opened, we cannot pretend we do not know what to do. God, who weighs our hearts and keeps our souls, knows we know and holds us responsible to act." 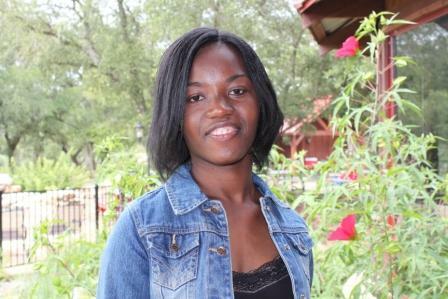 After my dream/nightmare, God gave me an urgency about an orphan who needed us immediately. I didn't know who, why, when, or where, but I knew it was urgent. Within a few days of my dream, God sent me an email to show me exactly the child who desperately needed us. The email read, "URGENT need in Serbia." Without even seeing the photo of the child or reading the diagnoses, I KNEW immediately this was the child God was calling us to. And then I saw her photo, and God vividly spoke to me regarding this precious angel, confirming that she was a Patterson, and her name was not "Barbara" as she was known as in Serbia, she was "Chrissie". Somehow we suddenly felt like we needed her even more than she needed us! 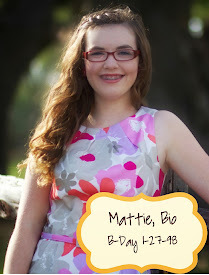 God spoke directly to Matt when we prayed about adopting Chrissie, the very same night we found out about her in June 2009. It was a huge risk, knowing she may not live long due to her severe heart defects. But it was a risk we knew we had to take. And we ALL knew we had to obey. Click HERE to read the beginning of our journey to Chrissie. Click HERE to continue that journey. Surely our family was now complete! We didn't feel worthy (or even capable!) 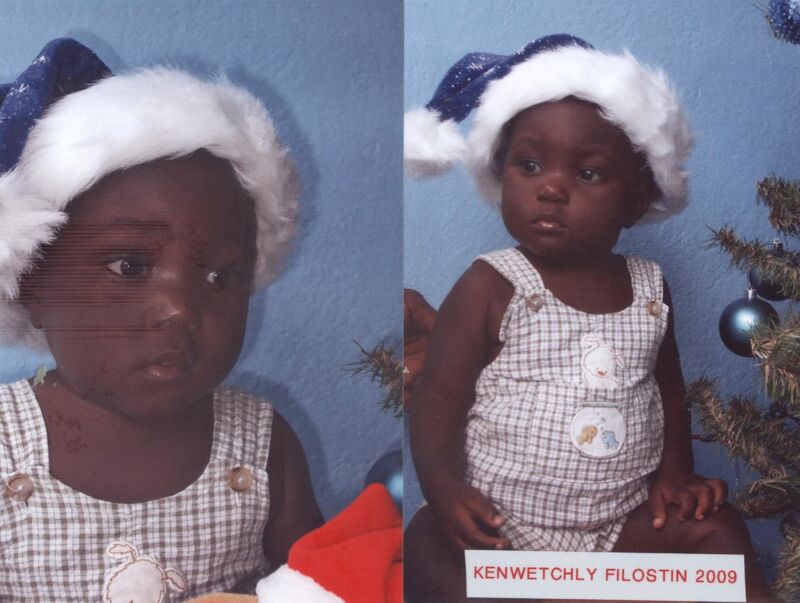 of receiving any more precious blessings from God, but in December 2009, God laid it upon our hearts that He was going to deliver us a special gift from Haiti. God's special delivery arrived April 4, 2010, in His perfect timing, and oh my word, he was the cutest little delivery ever. 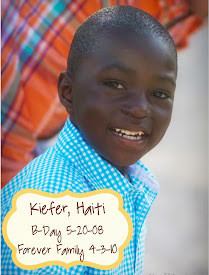 Kiefer’s story is told in 3 parts on our blog (click each part to read): Part 1, Part 2, Part 3. "...for in you the fatherless find compassion." Just two weeks after Kiefer came home, Chrissie (our Serbian daughter, who had been home 6 months) had her much-needed complex open-heart surgery. 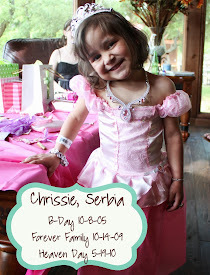 After a 31-day battle in the hospital, on May 19, 2010, God called Chrissie home, to live with Him for all eternity. 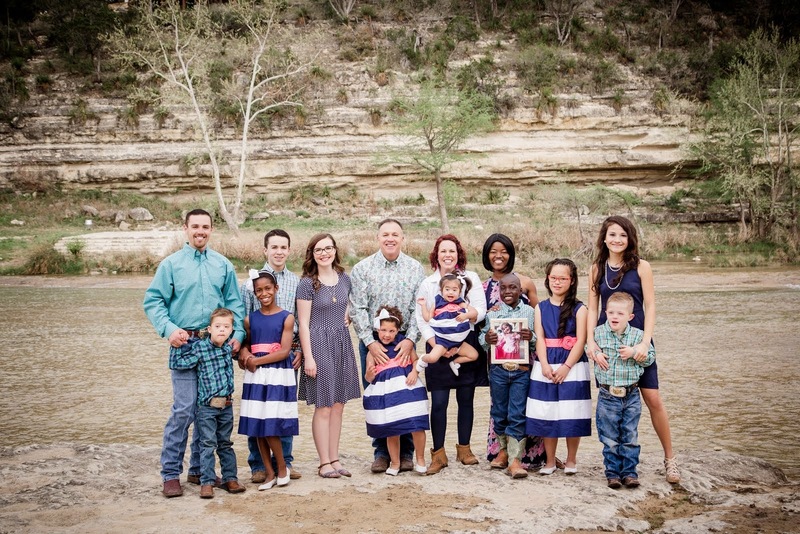 We were in shock at the outcome He chose, but, at the same time, we were so grateful He chose us and entrusted us to be Chrissie's forever family. She was pure joy, a precious blessing straight from our Father, and He fulfilled His promise to Chrissie through our obedience while He grew us in ways we never thought possible. As we walked the path of grief after Chrissie went to live with Jesus, we felt like we might never ever adopt again. Our hearts were shattered, we were all quite a mess, but God gently (well, He might have knocked us over the head!) reminded us of why He placed us on this earth: to care for orphans in their distress. Exactly one month to the day of Chrissie going to Heaven, God once again displayed His power and glory by delivering another special gift to our family, even when we felt so incapable. He knew His plan; He knew He would equip us; He knew how to turn our hearts toward Him in obedience. When we wanted to bury ourselves in the midst of our pain, He entrusted us with another treasure. 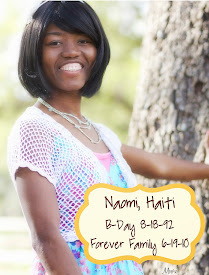 Click HERE to read Naomi’s adoption announcement. And just when we thought our hands and hearts were at maximum capacity, God reminded us that our love is supplied through Him, who gives us all of our strength and ability. He reminded us that we are nothing without Him, and He reminded us that He equips us to do the tasks He calls us to. All He asks is that we obey, regardless of how impossible the task may seem. He is faithful. He always provides. His grace is sufficient. And as soon as we renewed our vows to Him and affirmed our trust and faith in Him, the Author and Creator of life sent us another special arrow for our quiver. 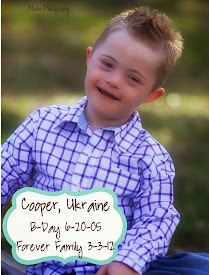 Asher came to our home at the age of 8 on July 23, 2010 via a disrupted adoption in the USA. Asher is currently in the legal process of becoming a forever Patterson. 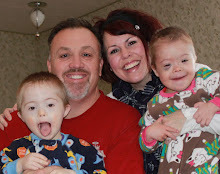 Click HERE to read Asher’s adoption announcement. Even though we thought our family was surely complete this time, God completely shocked surprised us when He suddenly blessed us with two new daughters (biological half-sisters) from Texas. This placement was not only a complete surprise, it was also very high risk for our hearts. The baby, Selah, was born with only a sliver of a brain, with 3 pounds of fluid in her enormous skull, with a grim prognosis for her future (that she would either not survive infancy or would be a “vegetable”). The girls were temporarily placed with our family, on an emergency placement via a private adoption agency, while we prayed about adopting them. It didn’t take long for our hearts to fall head over heels in love with both girls, and while we really preferred to protect our hearts, God reminded us that it was His job to protect us and provide for us. Ella and Selah became forever Pattersons on December 29, 2010. 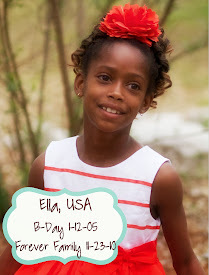 Click HERE to read about the miracle of Ella and Selah. We originally thought that adopting Ella and Selah was more about them than it was about us, but we now realize that God planned to do some major healing of our hearts through the placement of these girls, healing we never thought possible. Turns out, God intended for these girls to bless our hearts much more than we could ever bless theirs. We are oh so very grateful we took this risk, as it’s been such a tremendous blessing to have these two treasures in our family. Baby Selah is now a year old, and she is THRIVING. Her brain grew to fill her skull cavity, her skull has been reconstructed (medically necessary), and she is now developing as a typical child, much to the surprise of her many specialists. 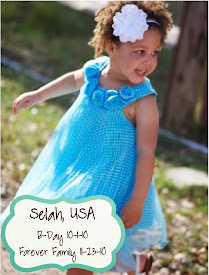 Selah is an absolute miracle who has defied all of the doctors’ diagnoses, a living testimony of God’s many miracles. God has used this precious baby to not only show doctors that they’re not the Author of life, nor the Giver of life, but to also show us that no matter how risky the situation looks and feels, we are to wholeheartedly trust Him, the One and Only Author of life, the incredible Healer of all, including broken hearts, broken brains, and broken bodies. Click HERE to read about how God brought Vlad and Dima to our family via a summer host trip. Well, it turns out that God never intended for Vlad and Dima to be with a different family, He intended the boys to be forever Pattersons! In early August 2011, we officially started the adoption process of Vlad and Dima, and we hope to have them home before Christmas! 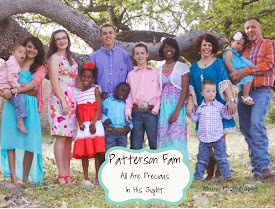 Click HERE to read their adoption announcement. In closing, I stand in awe at all that God has done with our family and our hearts. We did not plan out this journey; we truly had NO idea what God planned to do. 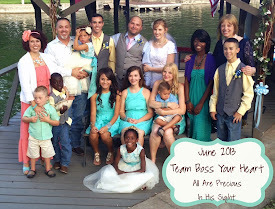 God grew our family from 3 kids to 10 (soon to be 12 kiddos) in less than 3 years. This goes against all adoption advice and training, but it doesn’t go against God’s. We’ve adopted out of birth order, we’ve adopted special needs kids, we’ve adopted internationally and domestically. We’ve endured the loss of a child on earth. Through it all, no matter the situation, God has provided. He is so faithful, and I’m so grateful to have Him sailing this ship. God will never leave us or forsake us, and He equips those He calls. We are living proof. More than anything, I want to share that our family is nothing special. Just two (almost 3) years ago, we were living the "American Dream" with a nice house, two nice vehicles, a few nice hobbies, and the average 2.5 nice kiddos (well, OK, we had the full 3 kiddos, but they were still nice!). We didn't do anything deliberate or extraordinary to change our lives, God just opened our eyes to living our lives focused on Him and His desires, with obedience, regardless of risk. God has worked in our lives, in our hearts, in our homes, from the inside out, to show us what His focus is. He broke our hearts for the things that break His. He showed us how deeply He loves the orphan, He opened our eyes, and He has enabled us to walk a path we would have never been able to walk without Him. It is solely by God’s mighty hand, His amazing grace, His unconditional love, His faithfulness, His provision, and His goodness that we have been so richly blessed by adoption, just as He adopted us.